IPOPI is moving forward with raising awareness in South East Asia. Most recently, IPOPI organised two meetings in Hanoi, Vietnam on December 8-9, 2017, in close collaboration with the National Children’s Hospital and the Paediatric Association of Vietnam. 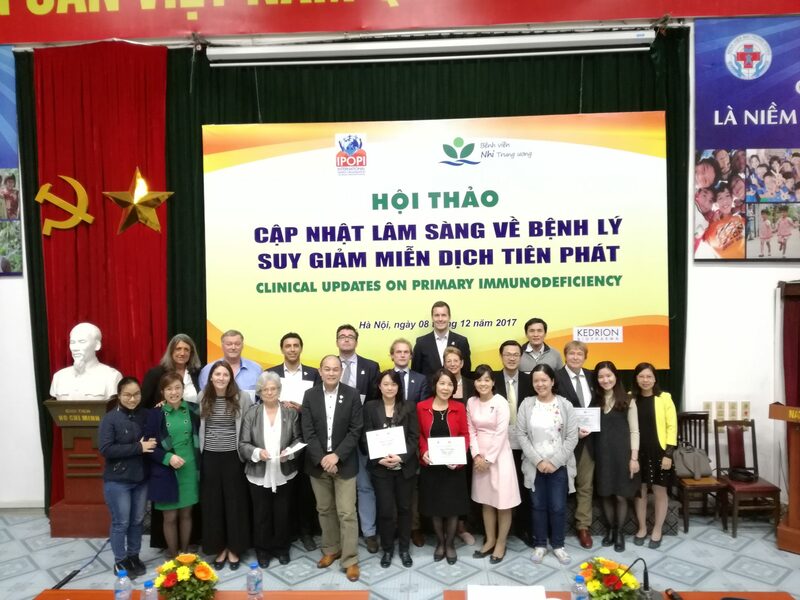 The first meeting took place in the National Children’s Hospital in Hanoi and aimed at educating healthcare professionals and medical students about primary immunodeficiencies (PIDs). The second meeting was aimed at PID patients from all over Vietnam with a programme consisting of educational lectures and discussions. The Clinical Care Updates workshop gathered 120 healthcare professionals and medical students from Hanoi and the region, together with 18 satellite hospitals virtually to listen to lectures on the latest updates in the field of PIDs. Several international and local key opinion leaders with the focus on PIDs came to share their knowledge among the future and present physicians of the country. The meeting was the first of its kind in Vietnam and had a wide audience which will help to raise awareness of PIDs in the country. 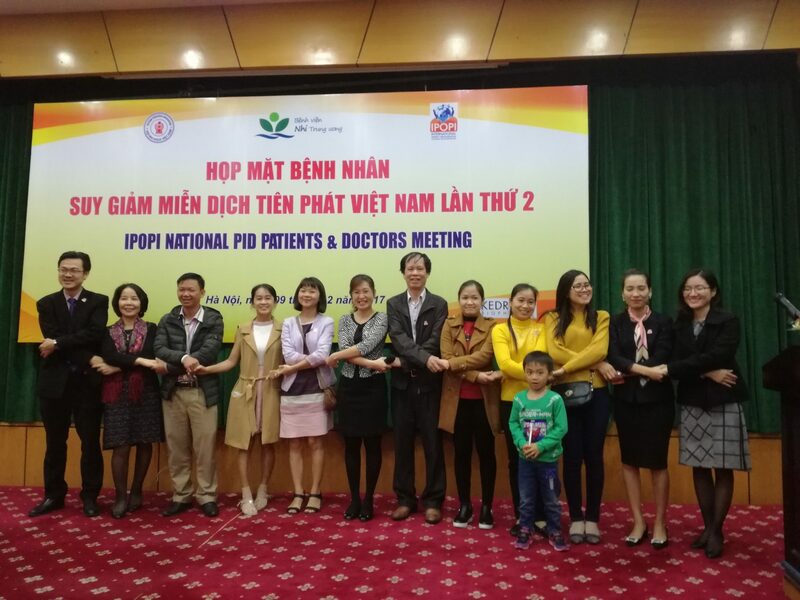 The National Patients & Doctors meeting was a half day meeting and brought together more than 100 participants including patients and their family members, nurses and PID specialists from different regions of Vietnam. The meeting consisted of educational lectures about the immune system and plasma collection and manufacturing. The meeting was successful in empowering more patients to volunteer in the IPOPI National Member Organisation (NMO) VietPIPS and in identifying the most pressing issues for PID patients in the country. IPOPI will soon prepare a report on the two meetings that will be available on the IPOPI website. IPOPI wishes to thank Kedrion and Bob LeBien for the support towards these events.